A good “working” relationship with your photographer means it doesn’t feel like work! After all the weeks of preparation, months of planning, and a lifetime of dreams, it’s all over in a matter of hours – and in the end, what you (and your children, and your grandchildren) will have to remember those fleeting moments that made your wedding day uniquely yours, will be the images captured by your professional photographer. How your hired shooter sees you, your family and loved ones, and the ultimate results of all your hard work is exactly how you will remember the day itself over the years, so to say choosing the right photographer is a big deal might be an understatement. Every wedding and every couple is different, but in more than 10 years of professional portrait artistry, the one truth that has never failed is that the more comfortable my subject is, the more comfortable I am, and this inevitably leads to the best photos. Whether shooting “fly on the wall” photojournalistic style candids or intimately personal formals, the couples I work with have to be relaxed in order for the finished product to look natural. When considering wedding photographers, meet with them personally to ensure that not only the artist’s portfolio matches how you envision your day being captured, but perhaps even more importantly to make sure that this is someone that you and your fiancée will feel comfortable with for the duration of what is supposed to be the biggest day of your life. Finally, when meeting eye-to-eye with your photographer, don’t be shy about telling him or her exactly what you want (or don’t want). There are no retakes at a wedding and when a moment is over, it can never be “recreated,” so whoever you hire to essentially preserve your wedding day memories has a huge responsibility, one that most professionals take extremely serious, but this does not mean that you can’t be part of the creative process! I have had brides hand me not only picture lists, but sometimes handfuls of photos clipped from magazines that they would like to try to duplicate, and I generally welcome the input. Again, this clues me in as to what my client is looking for from me, therefore we are on the same page and both more relaxed and comfortable with each other. Predictably, the photos of the couples that I meet with prior to shooting are usually better than those of some couples that I might meet just as they are practically walking down the aisle. And always remember that having your picture taken on your wedding day should not at all feel like “work” for you. It is the photographer who is actually at work, so if you get the impression after meeting with them that it’s going be difficult or stressful to “work” with them, keep in mind that there are plenty of pro shooters out there with all different styles and personalities to choose from! 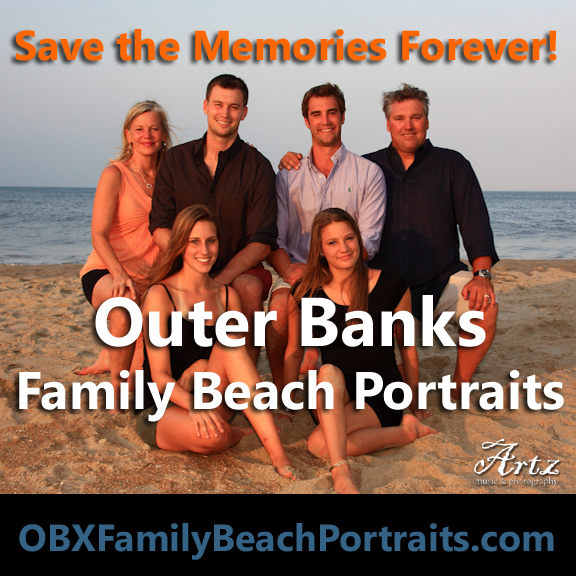 Matt Artz has worked as a professional photographer on North Carolina’s Outer Banks since 2000. A former photojournalist / reporter for The Coastland Times newspaper, Matt has been shooting beach weddings since 2003. Matt and his wife Sue launched Artz Music & Photography in 2006 as a one-stop wedding team offering ceremony violin music and reception DJ services by Sue Artz, in addition to full photography packages, as well as family beach portraits, engagement photos, bridal portraits, senior pictures, and “trash-the-dress” portraits by Matt Artz. This entry was posted in Wedding Tips and tagged photography. Bookmark the permalink.